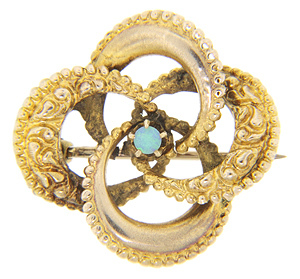 This antique 10K yellow gold love knot pin has an opal in the center. The curved arms of the knot have repousse designs. 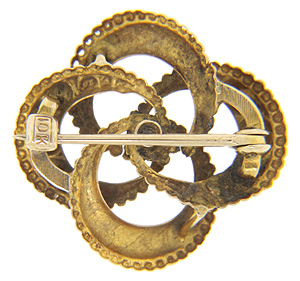 The pin is 3/4” tall and 3/4" wide. Circa: 1890.